TUCSON – Joseph Bailey Jr. starts his Thursday mornings with Fiesta, a black-and-white-patterned horse. Bailey brushes Fiesta and whispers in his ear for him to behave before the two begin their ride. A Navy veteran, Bailey lost the use of his left leg and left hand due to a spinal problem that developed three decades after his discharge. The Southern Arizona VA Health Care System referred Bailey to Heroes on Horses to help him rehabilitate from a 2002 spinal cord surgery. Therapeutic Riding of Tucson offers Heroes on Horses free of charge to Bailey and other veterans through donations from the community. Melanie Roeder, Bailey’s therapeutic riding instructor, said the experience is more than treatment. Bailey, who had no experience with horses before coming here, said he’s learned they need to be spoken to as if they are people. The sessions, offered for 12 weeks in the fall and spring, are tailored to meet the veterans’ individual goals. However, every rider practices stretching and mounting the horse. 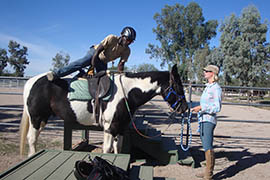 Therapeutic Riding of Tucson has special lifts for those who are wheelchair-bound, and Bailey uses an ankle-foot brace as he rides so he can control his leg more while connecting with Fiesta. Army veteran James Nalin completed two tours in Iraq before he was involved in a truck rollover accident back in the U.S. that injured his hip, causing him to have balance problems. In the same year, he was diagnosed with traumatic brain injury. He said Heroes on Horses has helped him heal emotionally as well as physically. Nalin said that without the program he would probably be isolated right now, as he was for the five years after leaving the Army. 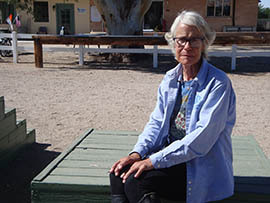 Mary Vardi, program director for Therapeutic Riding of Tucson, started Heroes on Horses in 2006 to help treat veterans facing spinal cord injuries, traumatic brain injuries, post-traumatic stress disorder and the aftermath of a stroke or amputation. Veterans have a certified therapeutic instructor with them as they practice exercises targeted at control and balance. One exercise involves the veteran practicing an up-and-down motion while the horse walks. The exercise, called posting, targets the rider’s thigh muscles. 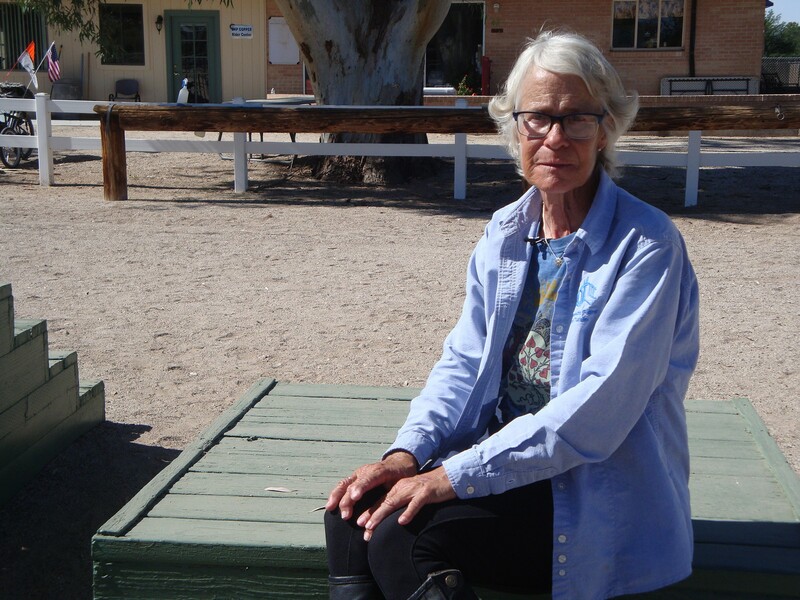 Although Vardi is the program director for Therapeutic Riding of Tucson, she still instructs for the Heroes on Horses program. 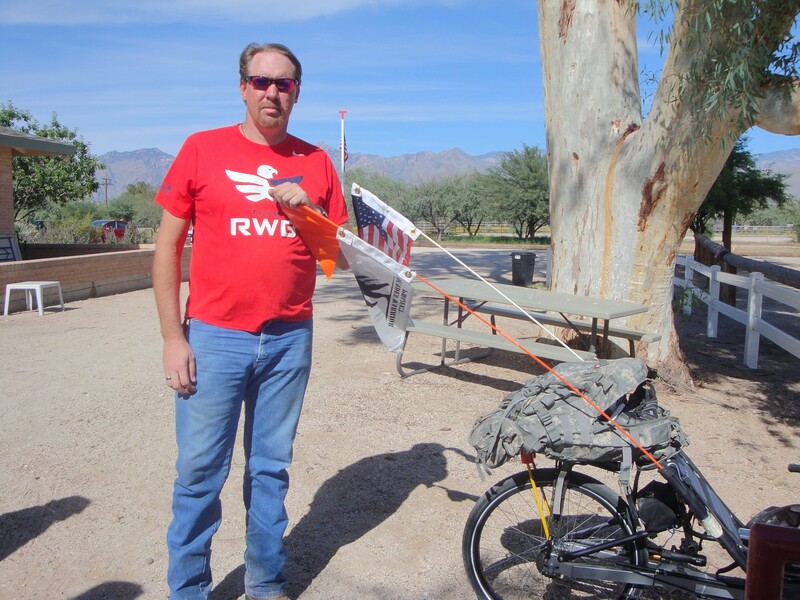 The Southern Arizona VA Health Care System connects veterans with the program because it offers them a chance to build camaraderie and rehabilitate their bodies. Former Navy aircraft mechanic Francisco Rene Suarez was one of the first to join the program eight years ago and stayed with it after achieving his goal of becoming an independent rider. He said he even finds it hard to stay away from the ranch when sessions are on break. Therapeutic Riding of Tucson offers a program called Heroes on Horses, which is aimed at helping Veterans recover from injuries. Reporter Megan Guthrie spoke with riders about how the horses played an important role in their healing. 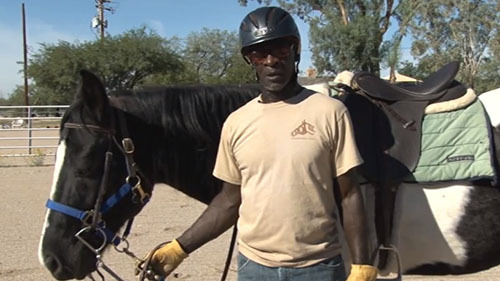 Joseph Bailey Jr., a Navy veteran, mounts Fiesta as part of his therapy through the Heroes on Horses program in Tucson. Army veteran James Nalin completed two tours in Iraq before he was involved in a truck rollover accident back in the U.S. that injured his hip, causing him to have balance problems.